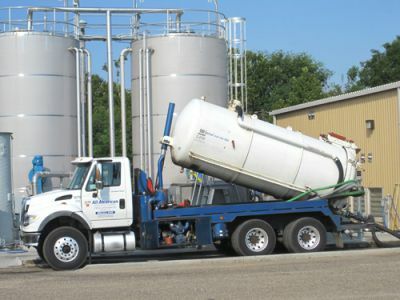 The primary emphasis of the Pretreatment Program is to protect the wastewater collection system and wastewater treatment plants from toxic materials that could damage the pipes or treatment process. MAWSS’ Pretreatment Program concentrates on minimizing grease from food service facilities and heavy metals from industry from entering the collection system. A residential cooking grease recycling program called, “It’s Easy to be Ungreasy”, provides free collection containers to customers for used cooking grease which is then recycled into useful products such as industrial lubricants, animal feed and bio-diesel fuel. Along with cycle cleaning, the programs have helped reduce the number of grease related sanitary sewer overflows. For locations offering free containers, visit www.itseasytobeungreasy.com.